The next post will probably be the Carnival of Divided Government Quârtus Decimus - Special Independence Day Edition, to be posted July 4th, 2007. Blog articles may be submitted for the carnival of divided government using the carnival submission form. Past posts can be found on our blog carnival index page or this label link. In this special edition we continue our search for bloggers, pundits and writers declaring their independence from conventional partisan wisdom. We will be searching the blogosphere and mainstream media for articles and posts on the singular topic of government divided between the major parties. As in all of the CODGOV series, the primary only criteria for acceptance in the carnival is to use the words and/or concept of "divided government" in submitted posts. 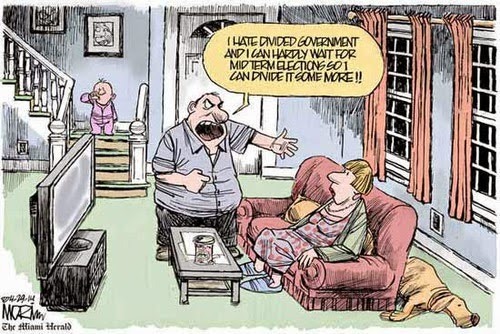 If the words "divided government" are in the post, it almost certainly will be included. If the words "divided government" are not in the post, it almost certainly will not be included. 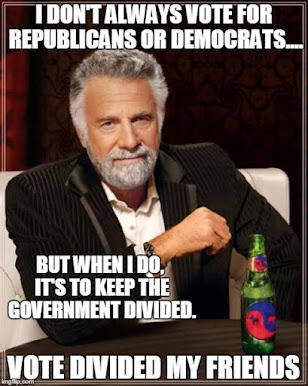 Sooo... make sure the words "divided government" are in your submission. John Powell presents This is not my Country: July Edition hosted at one of my regular reads - Hell's Handmaiden. Professor Piderit presents The Carnival of the Capitalists at Management Professor Notes. Pat Santy presents the Carnival of the Insanities # 24 hosted at Dr. Sanity. Kehaar presents Carnival of the Vanities: The Blog/Life Balance Edition hosted at Silflay Hraka. Jill presents the Carnival Number 70 hosted at Carnival of Ohio Politics. The Author presents the The Carnival of Political Punditry hosted at I'm a Pundit Too. Boring presents Economics and Social Policy XXXVIII hosted at The Boring Made Dull. Mark Rayner presents The Carnival of Satire #77 hosted at The Skwib. Technorati tags: divided government, CODGOV, Independence Day, blog carnival.